The online retail giant will stop selling Apple TV and Google Chromecast devices just as it launches updated versions of its Fire TV products. The Everything Store is getting a little smaller. Amazon plans to stop selling two of the most popular electronics products on Amazon.com at the end of the month. According to Amazon’s sales-tracking data, Chromecast is the fourth best-selling electronic device and Apple TV ranks 14th. Amazon said it’s making the move to “avoid customer confusion” for shoppers who also use the company’s Prime Video service. Apple TV and Chromecast devices don’t include apps to let customers stream Prime Video programming. Amazon also competes with Apple and Google, both in streaming media and the devices that play that programming. On Monday, Amazon will debut an updated version of its Fire TV. Amazon declined to respond to a request to provide details regarding any confusion it’s logged from customers who have bought the Apple or Google devices. It also declined to say if any of the devices were returned because customers couldn’t play Amazon Video programming. Dan Rayburn, a principal analyst with Frost & Sullivan, is dubious about Amazon’s stated rationale for the move. He notes that Amazon still sells Sharp Smart TVs that don’t include the Amazon Video app. While some customers might fret over the lack of choice from such a large retailer, the move seems unlikely to draw the scrutiny of regulators. That’s because, as big as Amazon is, it doesn’t dominate retail sales, or even online retail sales in the U.S. Consumers still have plenty of places to buy both devices. Bloomberg, which broke the news, reports that Amazon notified sellers in its online marketplace via email that it would stop selling the devices Oct. 29. The email, posted on Reddit, notes that Amazon will also remove posts of existing inventory for the products. Apple and Google declined to comment. 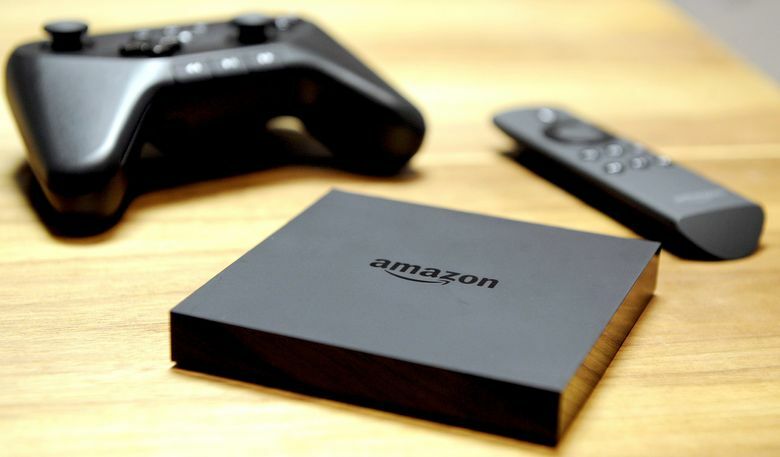 Amazon could choose to make apps for both Apple’s and Google’s streaming-media players. In Apple’s case, it would have to share some revenue generated from an app on its platform. It would not need to do so with sales through a Chromecast. The move clearly underscores the growing importance of Prime, the $99-a-year service that offers shipping on millions of products at no additional cost. Prime subscribers buy more products, and buy them more often, than non-Prime shoppers. That’s why Amazon has added benefits to Prime over the years, such as its Prime Instant Video streaming service. Removing Apple TV and Chromecast from Amazon.com could drive more customers to Amazon’s video offerings. The move is a rare example of Amazon balking at selling products that compete with its own. Shoppers on Amazon.com can continue to buy iPads, for example, even though they dominate the tablet market where Amazon competes with its Fire tablet.